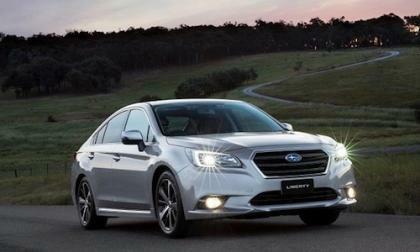 The new 2015 Subaru Liberty (Legacy) launches in Australia and will be $14,000 cheaper than the outgoing model. But it’s bad news for previous generation owners. 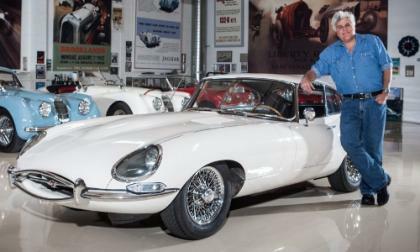 Jaguar has its own section in Jay Leno’s garage and he is proud to show it off. Is the 1963 all-original and stock XKE his favorite or is it his heavily modified 63 XKE convertible? Australia gets 2015 Outback diesel and huge price drop but not in the U.S. 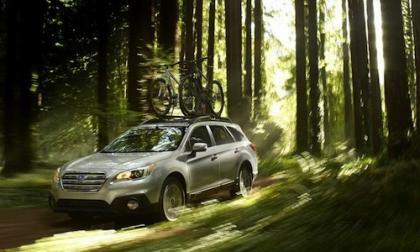 The Australian 2015 Subaru Outback gets a 2.0-liter turbo diesel, 6-speed manual and a huge price drop. But not here in the U.S.
Read more about Australia gets 2015 Outback diesel and huge price drop but not in the U.S. 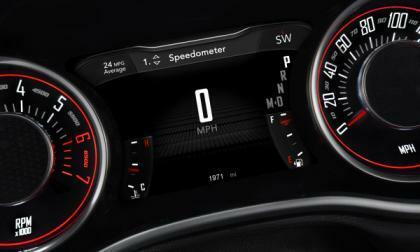 The National Highway Traffic Safety Administration has announced a recall of the 2015 Dodge Challenger due to a concern that the high tech gauge clusters could fail to work suddenly and without notice –leaving the driver without the information provided by the various gauges. 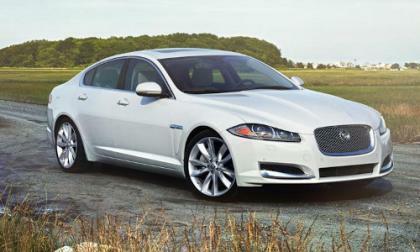 Jaguar Land Rover (JLR) has joined in the stop sales as did General Motors and the Volkswagen Group. The financial woes for Russia forces Jaguar to halt sales of their vehicles as the currency conditions get worse. 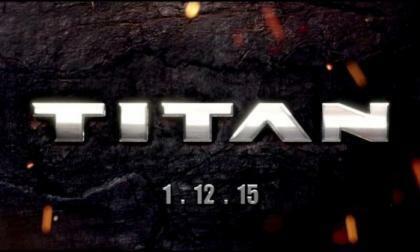 The new Titan will be all-American, the video promises. 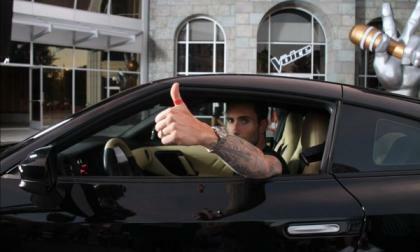 The day urged drivers to wear a red thumb band or mark their thumbs red as a statement against texting and driving. 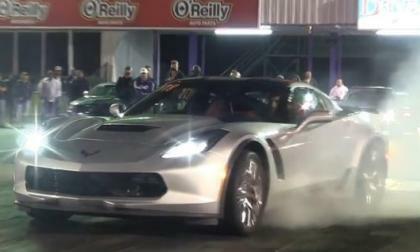 The 2015 Chevrolet Corvette Z06 is reaching owners around the country so not surprisingly, we have our first video of the most track capable Corvette of all time in action on the quarter mile – with fairly impressive results. On January 1st Massachusetts energy prices will jump by 22% for most residents. 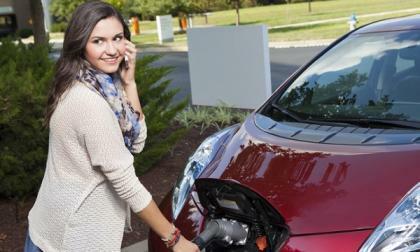 Do EVs make any sense in this key market? 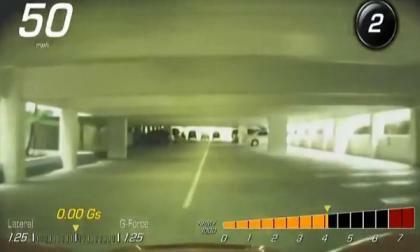 The 2015 Chevrolet Corvette is fitted with a Valet Mode that locks the glove box, prevents safety features from being disabled and activates a front-facing camera that records what is going on in front of the Corvette while being driven – and one of those videos has surfaced on YouTube showing a valet blasting through a tight parking garage in a 201 Stingray. 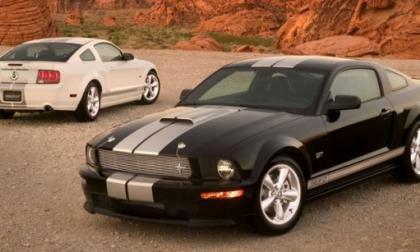 Ford Motor Company has added more than a half million cars to the massive Takata airbag recall, many of which are Ford Mustang models from the 2005 through 2008 model years – all of which have the airbags that could cause major injury or death if the assemblies fail in the event of an accident. 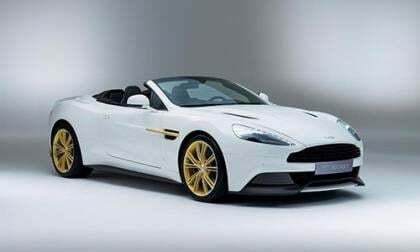 In celebration of 60 years of the Aston Martin Works production in Newport Pagnell, Buckinghamshire where between 1955 and 2007 an estimated 15,000 hand-crafted cars were assembled six Works 60th Anniversary models have been unveiled. 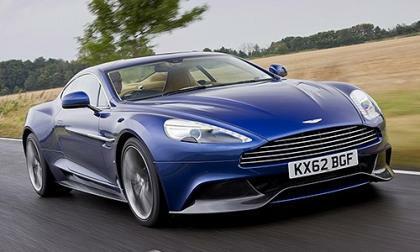 Just last Friday the first of the six expected models was revealed to guest in attendance of the Aston Martin Christmas Party. 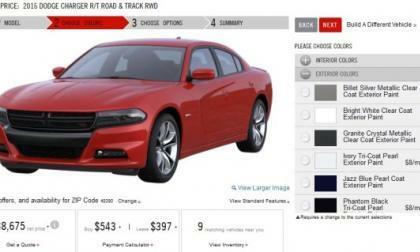 The configurator tool for the 2015 Dodge Charger has gone live on Dodge.com and today I take a look at the options and costs that make for what I believe to be the best bargain in the current lineup – one which comes loaded to the hilt and packs 370 horsepower for just over $40,000. 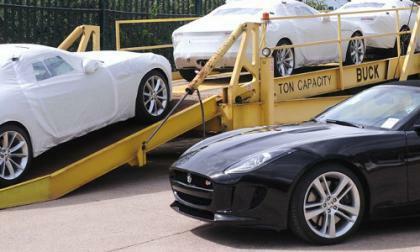 Jaguar Land Rover (JLR) issues safety recalls again over brake concerns. 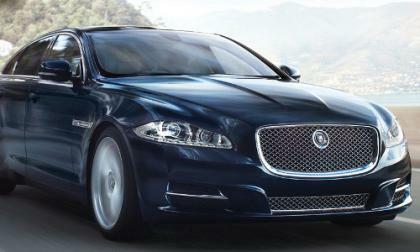 Could your Jaguar XJ sedan be on the list or effected? 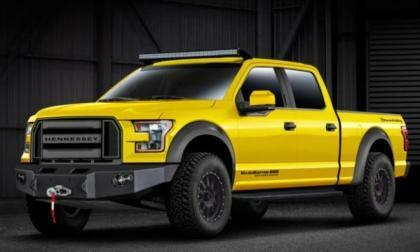 The folks at Hennessey Performance have offered up their first take on the new 2015 Ford F150 pickup and with more than 600 horsepower, the 2015 Hennessey VelociRaptor 600 should be a perfect follow-up to the super tuned SVT Raptor pickups from the last generation F150. I have some bad news for those folks hoping to see the debut of the 2016 Chevrolet Camaro at the upcoming 2015 North American International Auto Show – word on the street is that the Camaro will not make its next generation debut in the Motor City in January. 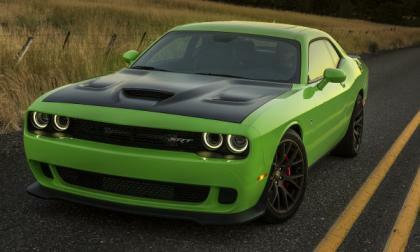 Those folks who ordered a 2015 Dodge Challenger SRT Hellcat with the Satin Black hood treatment have gotten some bad news, as an undisclosed issue with the black finished hood has caused the Chrysler Group to delay deliveries of the 707hp muscle car with that option back to February. 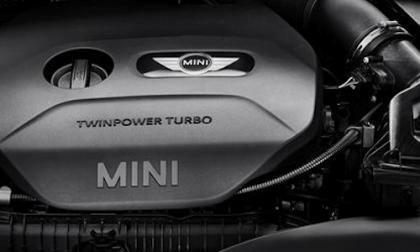 Ward’s 10 Best Engines of 2015 have been announced and BMW has two powerplants listed as winners. The BMW i3, MINI and BMW 2 Series Active Tourer powerplants get the trophy. 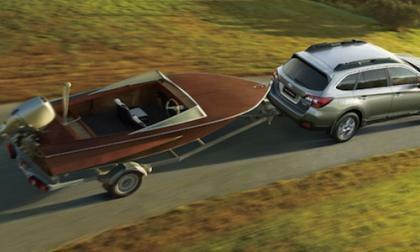 The new 2015 Subaru Outback gets three new global awards. What is turning the heads of Auto Trader, Cars.com and AJAC? 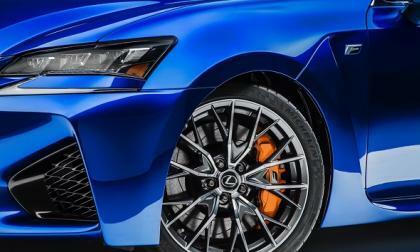 Is this the new 2015 Lexus GS F? Lexus will unveil a new F car at the Detroit Auto Show in January. 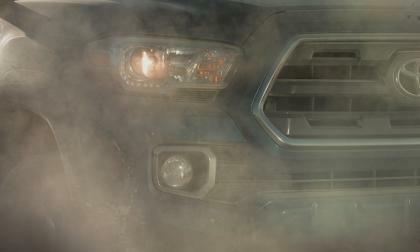 Will it be the expected GS F or are we in for a surprise? Read more about Is this the new 2015 Lexus GS F? They say a spark can start a fire and that’s what Jaguar needed was a spark. 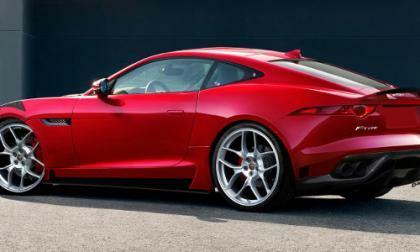 The new F-Type started with just a spark but it has ignited a fire that’s sweeping the automotive world! Consumer Reports hasn't been nice to Nissan in recent reviews and now a customer satisfaction survey ranks Nissan third from the bottom despite a similar JD Power survey putting Nissan near the top. 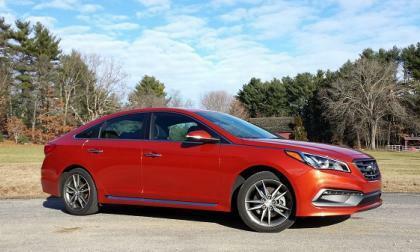 Does Hyundai have the best 2.0-liter turbo on the market? Hyundai’s 4-cylinder turbo seems to stack up well against the premium brands’ offerings. Here’s why. 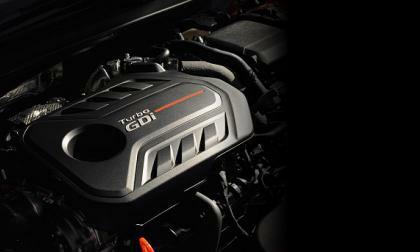 Read more about Does Hyundai have the best 2.0-liter turbo on the market? Jeep Wrangler is attempting to cross this creek at the Landcruiser Mountain Park in Australia. This is not too far from Brisbane. 4x4 Adventure shared this video two days ago. Aston Martin continuing to lay the foundation for a strong future via their partnership with Diamler for the sharing of technologies, a newly appointed CEO, Andy Palmer, and its announcement of an entrance into the crossover and hybrid market has now managed to acquire Matt Becker, one of the most sought after engineers from Lotus. 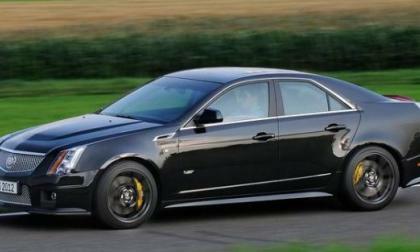 After a great deal of speculation, General Motors has confirmed that the new Cadillac CTS-V will indeed make its world debut at the 2015 Detroit Auto Show and while details on the new super-Caddy are limited to the debut location - there is a chance that the new CTS-V could derive its power from the same LT4 V8 as the 2015 Corvette Z06. 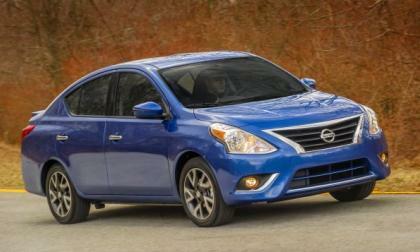 Both of these cars are mid-sized sedans that lean towards sporty. Which is the better buy for your preferences? The North American International Auto Show (NAIAS) held in Detroit, MI each year is a great venue to unveil the new Jaguar XF. 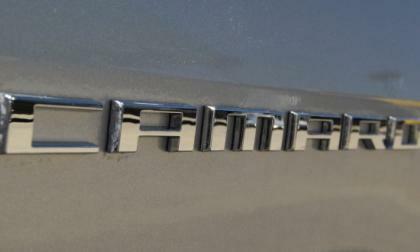 Will the press and media get surprised with an all-new Jaguar? 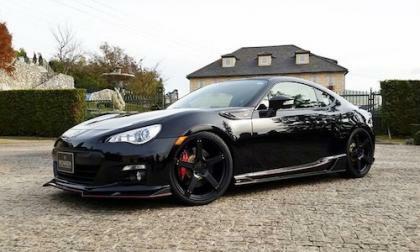 The new ROWEN Subaru BRZ Carbon Edition will make its world debut at the Tokyo Auto Salon 2015. Here’s a sneak peak before the show.